Menzies Welcombe Hotel stages Death at Downtown Abbey! 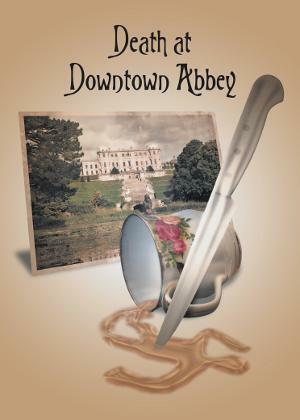 The Menzies Welcombe Hotel Spa & Golf Club is to stage an exciting production of “Death at Downtown Abbey” on Sunday 10 June from 1pm – 4pm. Guests will be transported back in time to join Earl and Lady Cruelly (and not forgetting the caustic Aunt Petunia) as they open their doors for an afternoon soiree on the landscaped lawns. Guests can expect plenty of gossip and intrigue from upstairs and downstairs as the staff and gentry flit their way through lunch! But who will end up face down in the fountain or toes turned up in the topiary? Book your picnic buffet for a truly mystifying occasion…..with the crusts cut off of course! Tickets cost £24.95 per person or £12.50 for children under 12 years old (the price includes a glass of Pimms on arrival, buffet lunch and entertainment). Booking is essential. Please call 01789 295252 for tickets.